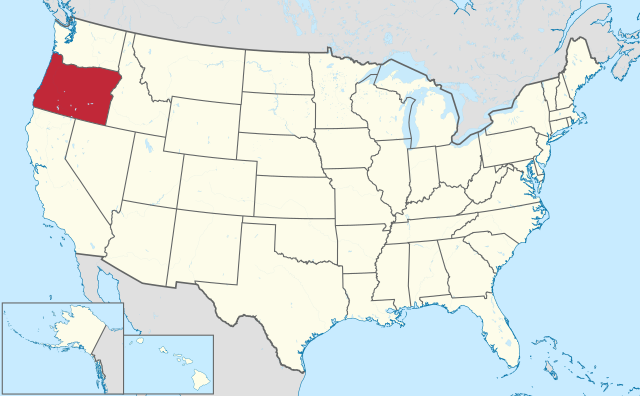 Oregon is a state on the west coast of the US, just north of California. It's nickname is the Beaver State, and it's motto is Alis volat propriis which means She flies with her own wings. 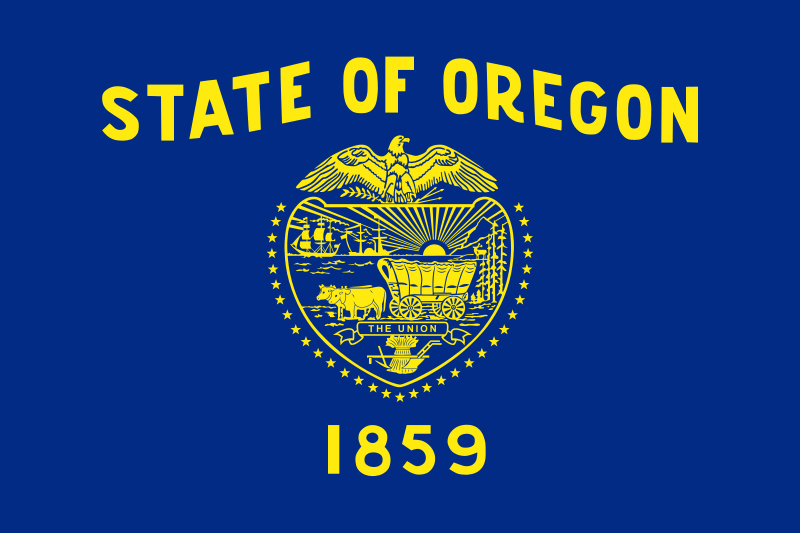 The state flag of Oregon has a blue background and a yellow foreground. On one side is a picture of a beaver, the state animal. On the other side is the state seal. On the state seal is an eagle above a shield that shows mountains, an elk, a covered wagon, the Pacific Ocean, a British ship, an American ship, a sheaf, a plow and a pickaxe. Oregon is the only state in the US that has two different sides on either side of it's flag. There is a large stratovolcano in Oregon called Mount Mazama. It erupted a long long time ago, and now where the peak of the mountain was is a lake called Crater Lake. In the middle of the lake is an island called Wizard Island, made when they volcano erupted. The books written by author Beverly Cleary about Henry, Ramona and Beezus were supposed to take place on a street in Portland Oregon. There is a park nearby that has statues of the children to honor the author's writings.